Moving box kits are highly essential when it’s time to move. These kits are important supplies including moving house boxes, packing tape, packing paper, a marker, bubble wrap and blanket bag. Moving kits are always available in a variety of sizes and shapes, but the best ones in the market are quality moving kits that have an assortment of excellent packing supplies that can effectively handle the tedious process of packing and moving. Nobody likes inferior kits that could end up damaging home items or get them disorganized. But why are moving kits so important for moving? Firstly, moving kits save the needlessly wasted time spent in finding moving boxes. I tell you what, if you haven't bought moving kits before, you're indeed missing out on a lot of things. These kits make moving quite easy and fast. This is so because all of the moving supplies you need for moving are already packed in the kit box thereby saving an enormous time you'd have spent preparing. Moving kits let you have ample time to do other more important things. 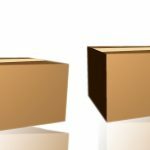 If you’re buying your moving kit from a reputable firm like Uboxes, then be certain that you’ll be delivered the right amount of moving boxes and other supplies that you need based on the enormity of your load. Most times, people don’t always have a clue regarding the moving supplies they need and consequently run out of supplies right in the middle of packing. In this case, they’re usually forced to take a quick trip to the moving supply store to buy more supplies. Buying moving kits – especially from serious companies like Uboxes – can save you the fuss of the guesswork. Buying a mover kit comes at a cheaper cost than buying the supplies separately. Moving kits purchased from a reputed firm are always of high quality and can be reused for an extended period. This saves you a lot of money which you can then channel to securing the services of a professional moving company. Your household decor and those expensive china settings you just bought need to be adequately cared for. But how do you intend to do that without a mover kit and packing supplies? How are you able to safeguard the fragile items in your home against any damage during transportation? It's important that you protect your items with the purchase of a moving kit so you don't run into the unnecessary cost that could result from careless handling. As you can see, moving kits are the first point of call as far as moving is concerned. Planning a seamless moving process starts with buying quality moving kits.